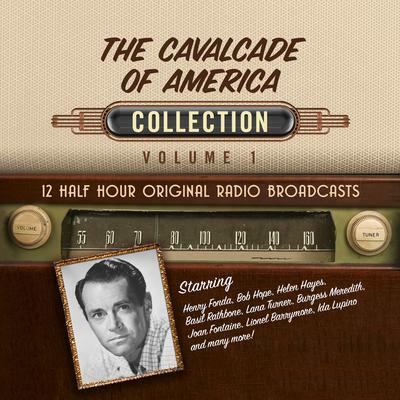 The Cavalcade of America, Collection 1 - Audiobook | Listen Instantly! In 1935, the DuPont Company chose to enhance its image by dramatizing great events in American history to an audience of millions each week on The Cavalcade of America. “Cavalcade” is a term used to describe pioneers who shaped the way America operates today. DuPont’s motto: “Maker of better things for better living through chemistry” was read at the beginning of each program, and the dramas emphasized humanitarian progress, particularly improvements in the lives of women, often through technological innovation. One of the most prestigious series in all of radio, The Cavalcade of America shed light on little known incidents in the lives of the pioneers of this great nation. The best talent in Hollywood stepped before the CBS microphones to star, including Humphrey Bogart, James Stewart, Helen Hayes, Basil Rathbone, Orson Welles, Bette Davis and Henry Fonda. Stories were by Arthur Miller, Carl Sandburg, Steven Vincent Benet, Norman Corwin, Arch Oboler and many others. The series enjoyed a 20-year radio run, lasting until 1953, making a transition to television from 1952 until 1957. Enjoy 12 of the greatest episodes from this award-winning drama series.